U. S. Steel Joins HireVeterans.com! The United States Steel Corporation is looking to U.S. Veterans to fill their ranks. They are hiring right now and have quality jobs with fantastic benefits. They understand that U.S. Veterans are some of the best people to hire. 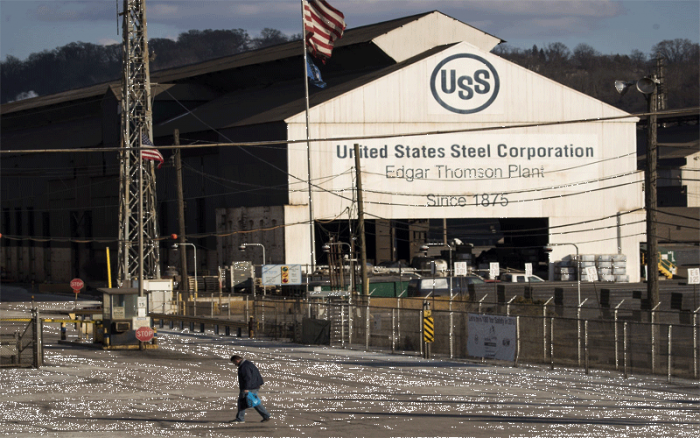 United States Steel is committed to hiring veterans and is putting their money foot forward. Founded in 1901, United States Steel Corporation is an integrated steel producer with major production operations in the United States and Central Europe. Headquartered in Pittsburgh, Pa., they manufacture a wide range of value-added steel sheet and tubular products for the automotive, appliance, container, industrial machinery, construction, and oil and gas industries. At U. S. Steel, employees who are part of their manufacturing operations work in a fast-paced, industrial setting. Their employees focus on safety, environmental, productivity, quality, and cost issues associated with the production of steel and its related raw materials. If a career with an innovative steel manufacturer sounds appealing, then you might consider a role in one of their business units located throughout the organization. Their employees are dedicated to the vision of building value through the company's business functions by coordinating teamwork and fostering continuous improvement. U. S. Steel's Student Employment Program provides opportunities for students who are actively seeking bachelor's degrees in disciplines, such as engineering, business, computer-related fields, and others. The program provides meaningful, hands-on work experience while helping students develop career-related skills. Students can participate in the program as either a co-op or intern. Their products remain the backbone of iconic landmarks across the United States. While the specific products they make today are different than in years past, what they make and why they do it are no less important. Steel surrounds us. It makes daily life safer, easier and better. And steel’s possibilities for the future are endless. Click Here To View And To Apply To All Of U.S. Steel's Available Positions!